In Livestorm, you can export your webinar and attendees data as CSV, XLSX and ODS. You can export all your webinars to have a global data sheet of your activity on Livestorm. To do so, just go on your main dashboard and click on the export button. On your main dashboard, click on a webinar. Go to the "People" tab. Click on the Export button and choose "Registrants". Export as CSV/XLSX/ODS. You'll receive your export by email. In the export menu, you'll see that you can also export a unique session. 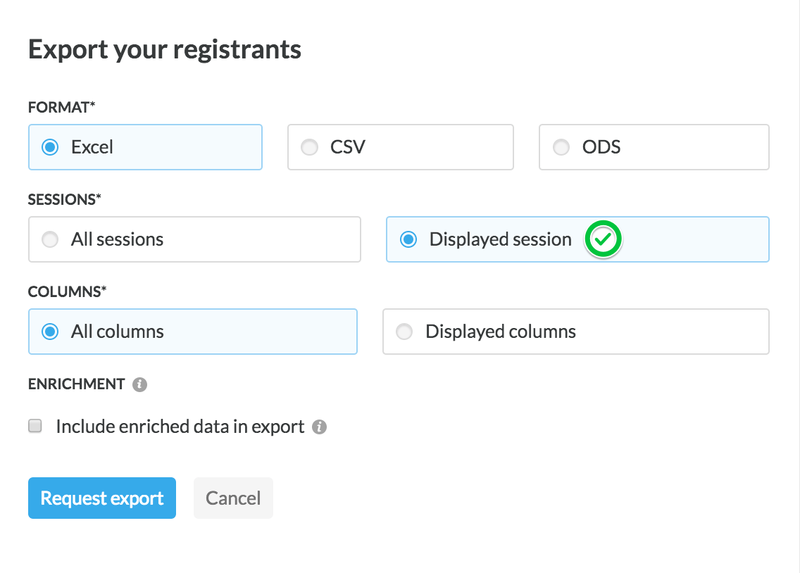 In order to export data of a specific session, you'll have to filter your recurring event. You can do that by clicking on the "filter with a session" button. You'll get a popup window where you'll be able to select the session you'd like. Just like exporting your registrant data, you'll now be able to export the chat messages and questions in the webinar room. You can do this on your People dashboard by using the Export button. You can export this data for all your webinar sessions or just the displayed session. It's really up to you! You can already export your data as XLSX, but we'll just leave this this tutorial from Microsoft here if you'd like to import the CSV to Excel anyway. Using Google Sheets? Follow this tutorial instead. How Do I Customize My Webinar's Registration Form? Where Can I See the Poll Answers?